Absolutely beautiful ring. Has a nice weight to it. Love how it looks on him. Would def order from again. Customer service was wonderful. 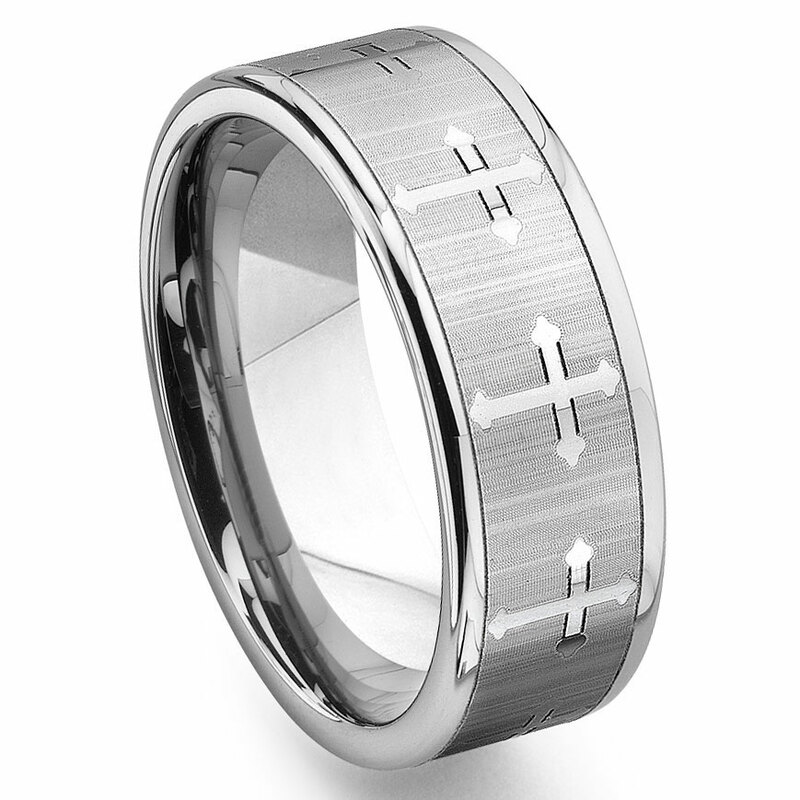 I ordered this ring for my fiancé. We both Love It! It's great quality and so much better in person than on the website. I received it quickly in the mail and it came in a very nice ring box. I am extremely happy with my purchase and will definitely order from you again. Just recieved my second ring, I lost the first one in about 30' of water. Ordered the exact same ring because I loved it so much. The design and finish on my tungsten ring is beautiful and even though I'm very rough on rings, it dosent scratch or mar. The service at titnium Kay is fast and reliable. I have nothing negitive I could say about the company or the product. Great Job! The ring is everything I'd hoped it be! When I received the ring, it was actually better than it looked online. I would buy from Titanium Kay again and refer my family and friends!